I wasn’t at yesterday’s parade to celebrate Team New Zealand’s winning of the America’s Cup but from what I saw on social media, it highlighted a couple of important and completely unrelated things. We can close streets in the city centre with little impact. As the parade made its way down Queen St and then around Customs and Quay Streets the city didn’t grind to a halt in a bout of carmageddon, there was instead just thousands of people celebrating. Of course this isn’t a surprise, we’ve already been seeing that even the significant impacts caused by the construction of the City Rail Link have had little impact on the movement of vehicles in the city. In fact, ATs numbers show that for most streets travel times have actually improved. While I’m sure many of those attending were nearby workers the event showed that we can just close streets and have people enjoy themselves. One of the trends sweeping through cities is open streets events or cyclovia’s where streets are closed and handed over to the people. We have had some here, such as on Karangahape Rd last year but they’ve always had a large organised event feel rather than closing the streets and letting things develop organically. I suspect that is partially why they’ve happened so infrequently, that and paralysing fear so many at our transport agencies have about anything that inhibits the flow of cars – even when vehicles are outnumbered by other modes, such as on Queen St.
By comparison, ciclovia in Bogotá, Columbia, which have been running for around 30 years, happen every Sunday. They simply close the streets to cars and open them to people. So why can’t we do something similar, block off Queen St or Quay St every Sunday for a few hours, or perhaps during the middle of the day on weekdays. Hand the city over the the people to enjoy. After all, on a normal weekday Queen St already has more than 6 times the number of people walking along it than drive along it. When light rail is built – hopefully in time for the next America’s Cup, it is expected to turn most of Queen St into a transit mall, a space dedicated to people with a transit route through it. Conveniently, the street was set up with a light rail width corridor left for the parade while the outer two traffic lanes were handed over to people who were watching. 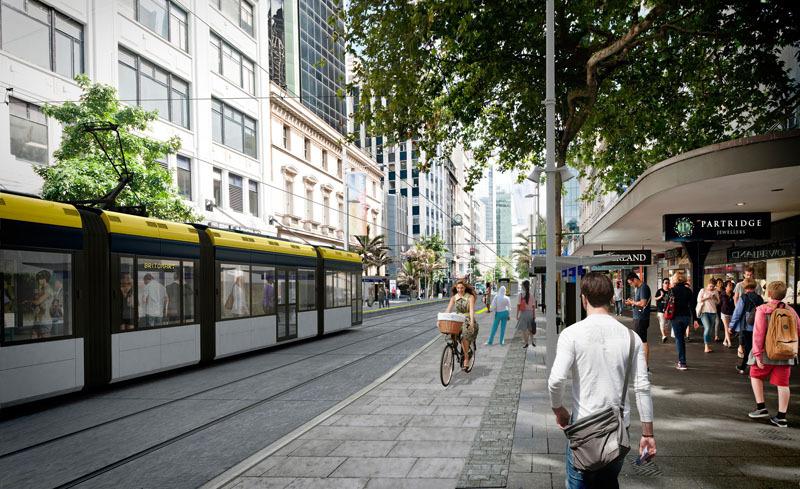 Here’s an image of what light rail along Queen St could look like. I assume this post will be filed in the comedy section. You can’t close down a street for a parade, give everyone warning to alter their behavior and then expect to be taken seriously when you claim we could close the area permanently with the same effects. Let me put it another way for you. Lets say there was a bus drivers strike and the public was notified to change their behavior for the day. People work from home or simply don’t make their normal travel and vehicular traffic is less than usual. Would you claim we don’t need to run any buses in Auckland? It’s also false. A radio sport host last night (if anyone was going to get excited about a sports parade it would be a sports radio host) bemoaned the “traffic chaos” caused by the parade!! I’d hate to put a figure on the disruption caused by yesterdays parade but my educated guess is it would run into the millions of dollars. The light rail analogy of how Queen Street will be supposedly handed to the people is another fallacy. 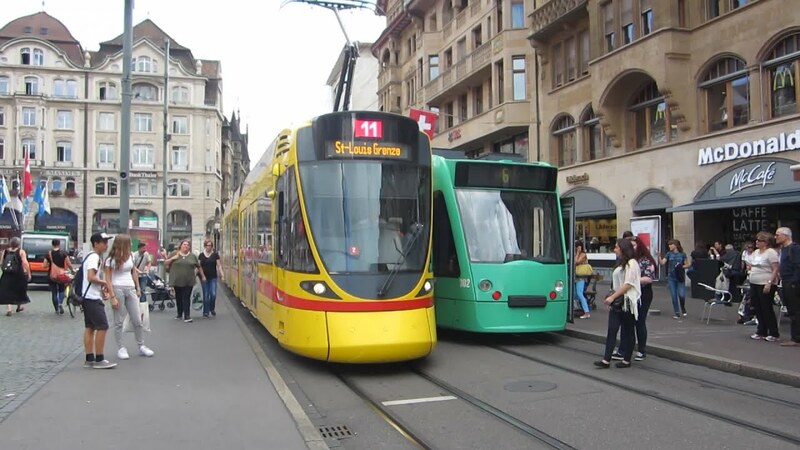 It’s shown by your own photo below the claim which shows exactly how people will use Queen Street after the (lets hope it never happens) conversion to Light Rail. They will be on the same footpath they are now!! Unless that is they want to be run over by a train. We need to learn from overseas experiences, not follow them blindly. Adelaide has similarly closed one of their main roads to create a transit mall. My experience was that it lacked people, lacked atmosphere and was completely and utterly pointless. Similarly we need to honestly discuss the Fort St failure with the shared zone. People aren’t flocking to Fort St. It’s still a hole regardless of the expensive work done to the street. You might need a trip to specsavers – there is a lot more space for pedestrians in that picture than there is currently. The light rail takes up about the same space as the middle traffic lanes. I love the bike especially the oversized basket and I can remember my mother looking like that on a bike 60 years ago. Skirt ought to be longer unless it is a divided skirt and where is the helmet? That picture is anticipatory of a future when cycle-helmets are no longer compulsory in traffic-calmed areas! Who cares what she’s wearing, Bob? It’s irrelevant. I cancelled my reply in another post about traffic cops – jodhpurs – moustaches – firemen – rubbish collectors back when they used to haul the bags up into the trucks, because my comment really wasn’t seemly… and now you talk about skirts being too short. We’re a fine pair, Bob! I am surprised you didn’t call the vehicle a velocipide! Using the internet to make comments that are more suited to a telegraph message is very steampunk of you Bob. “I assume this post will be filed in the comedy section.” It’s OK, no need to provide instructions. It’s clear from what you write. Millions of dollars, eh? Hate to think how much we’ll lose by hosting the cup then. The evidence is Fort Street is a success do you have empirical evidence to the contrary? Uh, really!? Which universe are you living on? I love the new Fort St – and always plan my trips to and from the city to pass through it. It’s much nicer, and even though my evidence is purely anecdotal, much bussier than it used to be. Yup i have noticed most employers are getting their staff to work from home for the next 4 years since the CRL works started. That’s why traffic flows have improved. Have you not noticed the streets are dead nowdays? It’s like a zombie movie in the CDB. Sure, we know that more people are going to the cbd and that the pedestrian counts are higher, but there are actually fewer people? That doesn’t add up. My experience is I’m finding it harder to walk around in the cbd for the number of people, these days. Sure would like to use some of that space given to vehicles. The light rail plans literally double the width of the Queen st footpaths, adding effectively two if the four current traffic lanes to the pedestrian space. A cursory look at the pictures on the AT web lets you see that. As Paul Krugman sais, people are entitled to their own opinions but not to their own facts. There is some utter rubbish being said here about the width of Queen Street before and after light rail. Queen Street will have far more space for pedestrians with LRT than it does now. Right now Queen Street has four lanes full length, plus indented parking bays for most of the way. Assuming the minimum lane widths in ATCOP that means the Queen Street vehicle carriageway must be at least 12.8 metres wide, or 17.8 metres of road width whereever the parking bays are. A double track LRT corridor can comfortably fit in under 6.5 metres if there are no centre poles. So Queen Street will gain more than eleven metres of extra footpath width with when LRT is installed – a huge improvement. I am no surveyor and looking at Google Maps the width of Queen Street seems to vary by block. Even so, by my calculations for most of Queen Street the width for pedestrians will more than double with LRT and no traffic. Finally I understand the pedestrian mall in Adelaide is the highest rental retail space in that city, so whoever thinks taking the cars away kills retail trade doesn’t get out much. 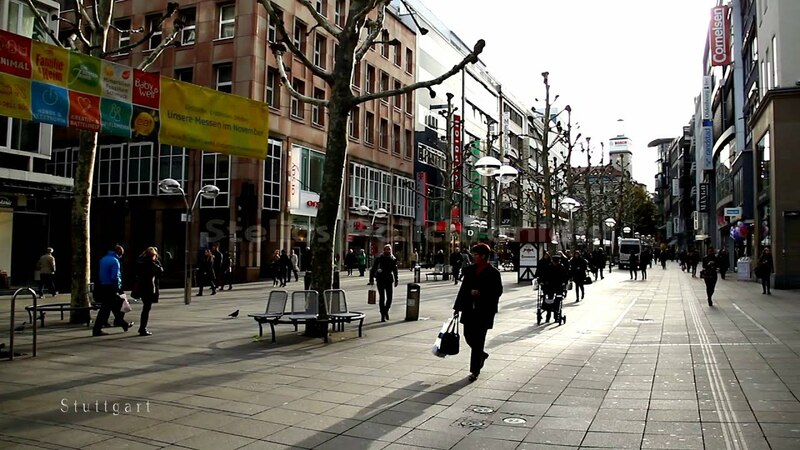 If you want to see how much space pedestrians gain from LRT google images of the Bourke Street mall in Melbourne. It is now regarded as a tourist destination in its own right. And no tradesmen or courier drivers (among others) were affected by the close down. I assume you mean tradespeople? Best of all there were no diesel buses ruining the central city. Fear not, they were all parked up at a temporary stop outside my office! Did they keep their engines running? Goodness knows why bus drivers do that- they turn up at the first stop early and sit there for an age with their engine idling to annoy everyone. from what I understand leaving the buses idling for short periods uses less fuel and generates less emissions than turning the bus off and on again. Have you tried standing behind a bus with the motor running. The sooner we get electric buses the better. At least let’s invest in hybrid busses. This current and common technology that reduces emissions, saves running costs and eliminates idling busses. Fuel injection has eliminated the penalty for stop start. Modern cars with stop-start use the same amount of fuel to start as they would use for 2 seconds idling. This is the same for diesel cars so hard to see why busses would much different? Yes that is true. This is where the gas hybrid buses are much better. If closing a substantial street it should be as predictable as possible; how about from sunrise to sunset every day of the year (or every Sunday, etc). I love images like the above (the actual photos from the parade) that show how many people can occupy a space that is normally reserved for cars. I lived near vancouver for a few years and par-took in a ‘go skate day’ and we were able to skateboard over one of the cities bridges they temporarily closed to traffic. It was liberating to be in a place that you normally feel threatened in when you’re not in a car (either be it on a bike, skateboard, or walking). That traffic-free ambience in the city-centre is similar to what many European cities already do on a permanent basis. Why do some claim that it wouldn’t work here? Because their mates at the bowls club told them it won’t work and that is more relevant than what works in other countries. Because we’re more familiar with British and American cultures. More so American culture with respect to transport. That and human fear of the unknown / resistance to change. Google “cycle of acceptance” – Whilst aimed at workplace change, the concept also applies fairly well to change in general. The good news is that the more people who learn about how change affects us all and then how to “own” change, the easier it is to influence others positively. “Because we’re more familiar with British and American cultures”… mmm.. yet with the numbers of Aucklanders spending some time in Europe each winter (yes, I wonder about the circles I move in, too) there must be a way of harnessing that love/obsession of all things European into some change in thinking about Auckland’s transport. Similarly with the number of people who pop over to Asia frequently. Every improvement we make – in train passenger and NEX numbers, for example – must be helping people to actually hold the concept of Auckland PT and Europe/Asia PT in the same part of the brain at the same time. until you can build light rail, there is no need to stop cars from going on queen street. there’s already plenty of space for walkers. let’s be real, light rail isn’t coming to queen street until 2035. i bet city rail link won’t be finished by 2023, it will be delayed again and again. But why are there cars on Queen St? There are basically no carparks or parking buildings accessed from it. They must be driving through and at such an excruciatingly slow speed that there are better options. And quite frankly, outside of peak, there are not that many at all compared to buses. The only logical reason to keep access for private vehicles is because, well, it has access for private vehicles. Or if you are guys like the The Real Matthew, you just hate an idea that isn’t your own and especially one that might inconvenience a car driver over a bus/bike/pedestrian. fix the root, not the fruit. why are there cars on queen st in the first place even if there are no driveways etc.? because the people designing it were so incompetent that they designed a road (with no driveways) and designed buildings with no driveways (on a road). the same incompetent people are now going to design light rail – i wish them well. Are you saying that the people that built the 19th or early 20th century buildings on Queen Street are incompetent for not putting driveways even though cars barely existed. Are you saying that the people that built the multi-storey office modern buildings on Queen Street are incompetent for not putting driveways even though they could make more money from office space than carparks? That doesn’t sound like a very convincing argument for cars on Queen St to me. Maybe they designed a road and buildings with no driveways because they never envisaged it as a traffic sewer? We have just allowed it to be? If there are no drive ways to access as you say, then that reiterates my point. Just why are they there other than to pass through. Erm, Queen st was designed before cars had been invented, and most of the buildings were built before the 1920s, based around tram access. The people who are designing light rail, well their parents weren’t even born yet when Queen street was built. The road and building were designed to be car free a long time ago. The basic structure of Queen st was laid out in the horse drawn era. Trams ran down the road along with individual horses or carriages pull by them.. Delivery docks for Queen st buildings accessed by horse were in the side streets running parallel to Queen st. Some companies would have maintained stables as well. Or horses would have been stabled in Mews. Elliot stables was as the name suggests a stable. Many of these became car garages or just delivery docks after the change to motor cars. The infrastructure to support either mode is similar. Have you tried walking along queen street in peak times? Plenty of space there is not. +1, just walked from Britomart up Q to Farmers at 10am and the footpath was chocca, one person talking on cellphone bowled over a kid and collided with me. Crazy, pedestrian congestion. I would suggest the LR on Q needs to be reassessed, it needs to be off the road, elevated or trenched/tunnelled or replaced with second CRL. When Aotea opens i can envisage thousands more peds flooding into Q.
are we talking about the same queen st? the one in the cbd? i walk down there everyday at around 4pm and i find it ok. yes there are lots of people but everyone is moving so it is ok.
More people on the footpaths than people in cars. You couldn’t get through the people on the corner of Wellesley and Queen later last night. The music and dance there had attracted quite a crowd. They definitely needed more space. CRL will be finished on time I reckon. As for light rail, expect LR from the airport to Dom Rd in time, but no more. With regard to cars and Queen st, we could close most of the road to private vehicles today if we wanted. From Mayoral Drive, we would only need to keep either side of Durham St open (parking building) and from Shortland St down (parking building and high-rise parking). I’d positively _love_ it if they made it courier/taxi/bus only between (at least) 08:00-18:00. Not sure about mobility permit holders, because of the issue of policing the road. Council should not do everything at once. Instead council should do baby step to let skeptical see benefits first. My suggestion is the closing should starts at Saturday afternoon first. Closing only queen street. Then the hours are extended to Friday night and weekend. More streets will be closed. As time moves, full closing should be imposed. The close should still exempt to emergency vehicles, EV taxi, service vehicles, and carpark building access with residence permit. I’d prefer to incremental increases to bus lane operation hours before this, or the removal of carparking (even on a temporary basis) on arterial routes (those with a number in the white shield) across the whole city. Both sound good to me. Kelvin’s right about baby steps. Tumlin’s try it out first to test how things flow. Permaculture’s “use small and slow solutions”. I’d just ask that we have lots of baby steps, all over the city. Yup. So weekends starting next weekend, using strawbales as barriers. Cut off a few suburban streets that have become arterial roads by default, too. Cheap, so AT can go and spend some money on painting more bus lanes and putting up signs. Then firm up the barriers with planter boxes and bollards. Only later do they have to do fancy placemaking. I completely disagree that this should only be weekends or evening. That’s a complete waste of time and money to close and reopen it. Fair enough. It was the idea of next weekend that appealed to me, but yes, permanent is cheaper. This blog is becoming increasingly driven by ideology rather than evidence and critical thought. It’s a shame. Daphne…actually no. In general I agree with most of the ideas, and certainly the intent of this blog. However posts like this, based purely on anecdotal data, from a single day that was an outlier in itself is not the way you advance a coherent agenda. The authors of this blog can do one of two things. 1) Push an agenda and make defensible arguments that might actually contribute to change in the city or 2) make posts like the current one which actually reduces the likelihood of change occurring. This is politics and so, you need to plan and think through a coherent strategy to force change. Some contributers to this blog have already been labelled activists by decision makers (rightly or wrongly) and therefore their ability to influence is well down the path to impotence. I want change for this city and IMO posts like this make that change harder. did you read the linked post? https://www.greaterauckland.org.nz/2016/04/04/queen-st-lots-of-people-few-vehicles/ Is that anecdotal data? There are three bits of evidence in this post – the traffic congestion data for yesterday, data measuring the impact of CRL works and ratios of pedestrians to cars on Queen Street. Looks pretty evidence based to me. The real ideology is the idea that cars should be on Queen St.
What do you know of my ideology? Hint: I bought a house within 3 min walk to a train station…PT is our main mode of transport. I was simply pointing out that this posts reflects a change from the coherent and defensible arguments that normally characterise this blog. So you chose not to read the post once, but twice? There is ample data there to support the clear position put forward. As has been pointed out by others. Simon I’m curious, what is the ideology you see as driving this post? As I see it, nobody actually drives the length of this street if they want to get north/south or south/north. I drive it myself, but just parts of it to get across e/w or to connect with Wellesley or Customs, etc. For all the haters: what is the actual problem that you have with, for example, the two lanes you currently get down Queen Street being changed to one bus lane on the left, and one lane for cars? I would prefer this because it would mean more reliable red bus times (that I also use). In addition to city wide totoal car free days, Bogota has the ciclovia traffic closures every weekend, and has a system where you can only drive on alternating days of the week (Like our old car free days), day in, day out. They also require motorcyclists to wear a helmet and high vis vest, both with the license plate of the motorcycle printed on them. Twenty years ago they had horrific traffic, and horrific traffic deaths. They’ve turned it around though some pretty strong measures. I wonder if the governmment wants the light rail routes to be shared with electric cars? Julie says Greens can build light rail to Airport by 2021 can we have a blog story of the feasibility of this please? It couldn’t happen in that time frame. Minister says it will take five years to implement congestion charges in the central city and there is little infrastructure attached to that. But to me, 5 years to implement congestion pricing sounds like won’t not can’t. At the least that time frame must be the result of low priority. On the other hand, LRT to the airport by 2021 seems awfully hopeful – once you take into account the usual delays for unexpected difficulties. So yes, reading an analysis would be great. Going to take 5 years because we have to decide what pricing system we want first, then find if feasible & implement. By “we” you mean the government don’t you, because whatever Auckland Council have put forward they have been told, we are going to do it our way. And are you saying that the government doesn’t know that what they are thinking of is feasible? I would say that’s highly likely given the debacle that the SHA’s have become. I suspect that the government really doesn’t want to do anything, because any move is a direct attack on their voters. Poor people already don’t drive into the city because no one supplies parking for them and they cannot afford it. This is the CRL all over again and the government will not do anything unless they absolutely have to. I found an article that I read about public transport in Vienna absolutely fascinating. The tremendous wealth delivered to the population from the ability of citizens to solely use public transport is incredible. It/s amazing when you think differently what phenomenal outcomes you can produce. That’s the current minister, not the Greens who are proposing it. Though ped only ambience is much better, I still wonder if we do this (permanently) before LRT that the relevant buses should have centre running down Queen St to foreshadow LRT. Given works on Albert St etc and not too many routes use it. victoria St down are the City Link, Inner Link, 105 & 106 (Herne Bay, Freemans Bay type ones) + SkyBus. shut queen street off from Customs to Victoria in the first stage and see how it goes. Having this as pedestrian only mall would be great. Extend up to Mayoral if there is demand. However all vehicles including buses and trams should be kept out. Whilst it might sound fantastic to the LRT people it would just be another case of half @rsed attempt. Some cafes, bars or restaurant in the middle of the street would be great and break the space up something like Brisbane. Having trams or buses would just ruin it as there would still be a whole heap of dead space and conflict in the middle of the street.